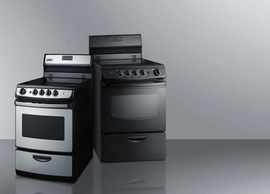 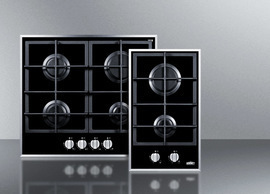 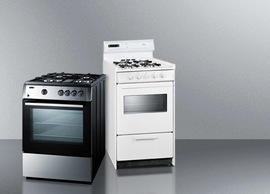 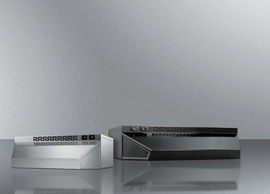 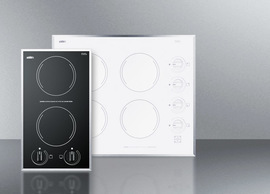 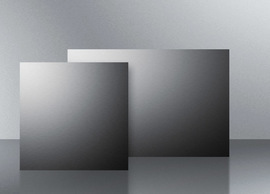 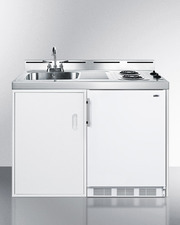 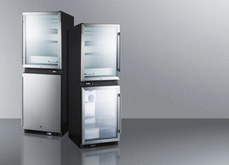 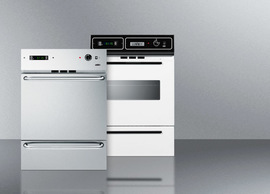 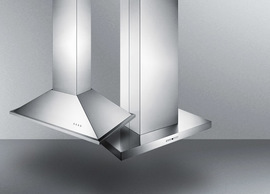 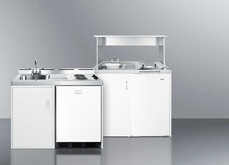 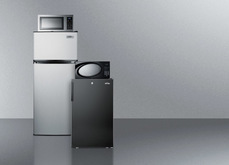 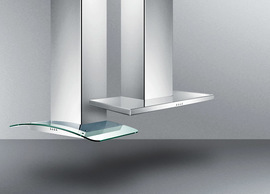 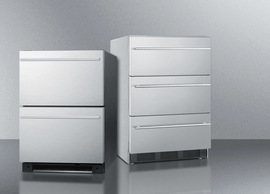 SUMMIT's All-In-One Combination kitchens offer true efficiency in a single easy-to-fit unit. 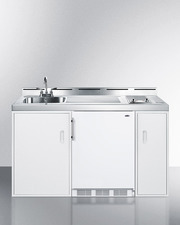 Available in 30", 39", 48", and 60" widths, these full-service kitchenettes include a working sink, two-burner electric cooktop, storage cabinets, and a refrigerator-freezer. 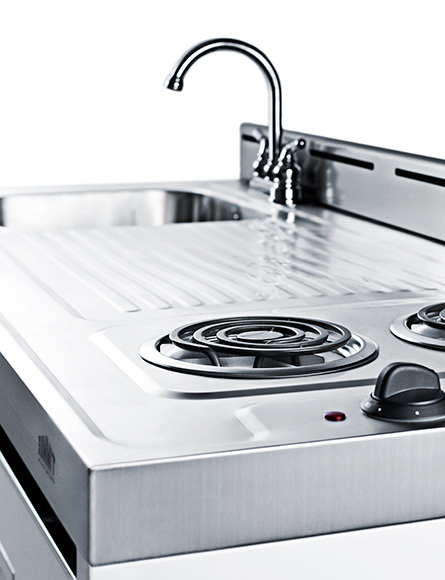 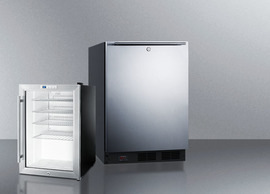 Whether you need a compact service station for a small motel room or an all purpose kitchen in a dormitory suite, SUMMIT's combo kitchens offer the most choices and highest quality at the best price in the industry. 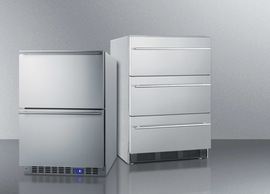 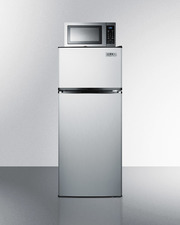 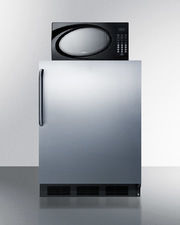 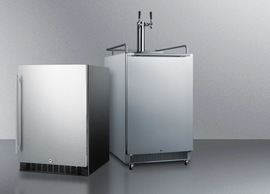 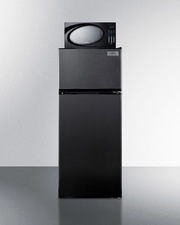 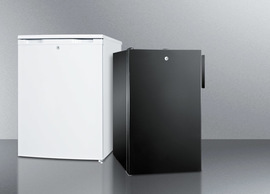 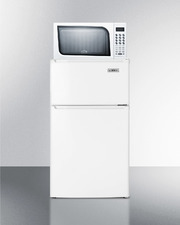 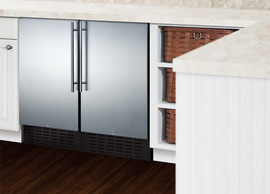 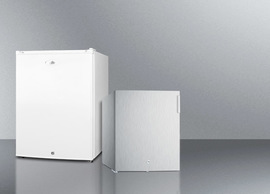 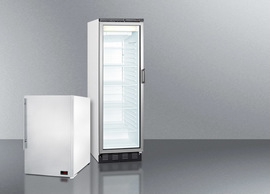 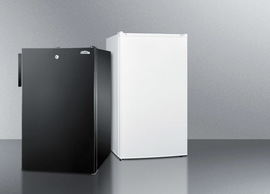 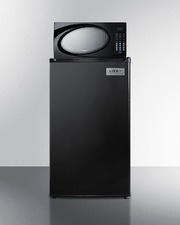 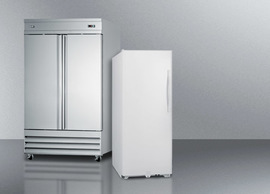 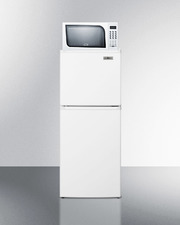 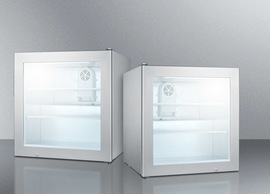 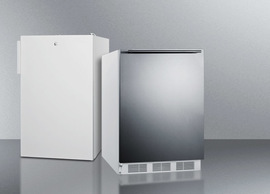 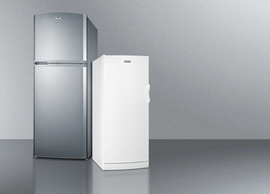 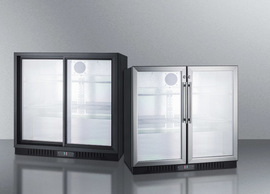 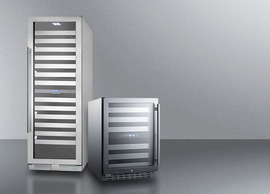 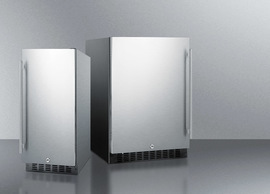 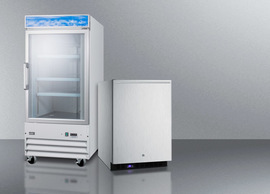 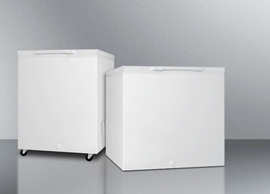 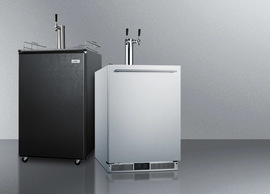 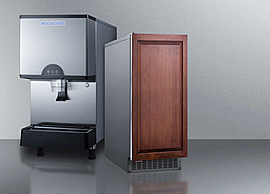 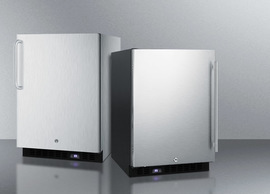 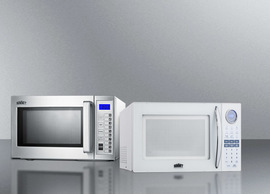 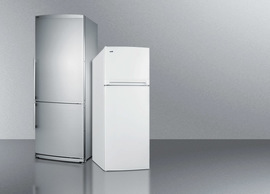 SUMMIT offers the industry's widest variety of power-safe refrigerator-freezer-microwave combination units, with sizes that fit your space and designs to match any style. 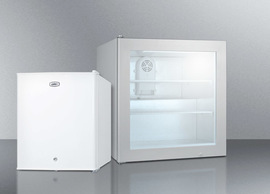 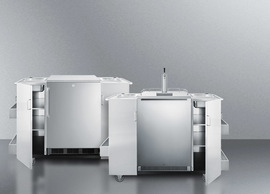 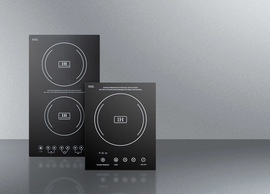 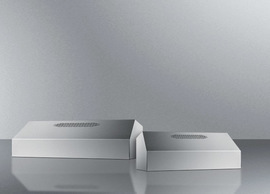 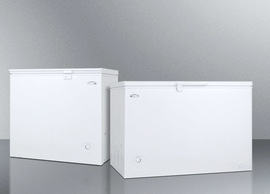 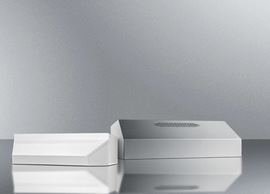 All MRF units include a power allocator box that allows the refrigerator-freezer, microwave, and a third appliance to be plugged in. 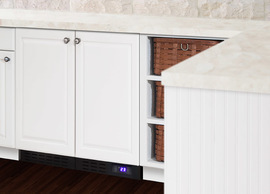 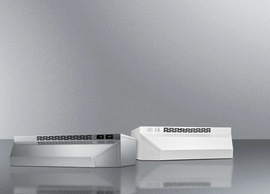 Overall power use is limited to 10 amps to prevent circuit breaks from damaging your appliances or causing electric shocks. 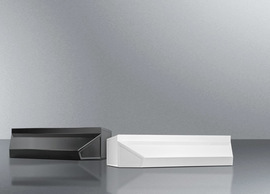 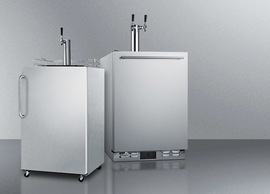 Combinations are available in white, black, or stainless steel with your choice in handle style. 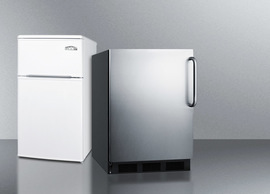 Choose a refrigerator or refrigerator-freezer from SUMMIT's collection and we'll custom build your unit, or browse our popular combinations.